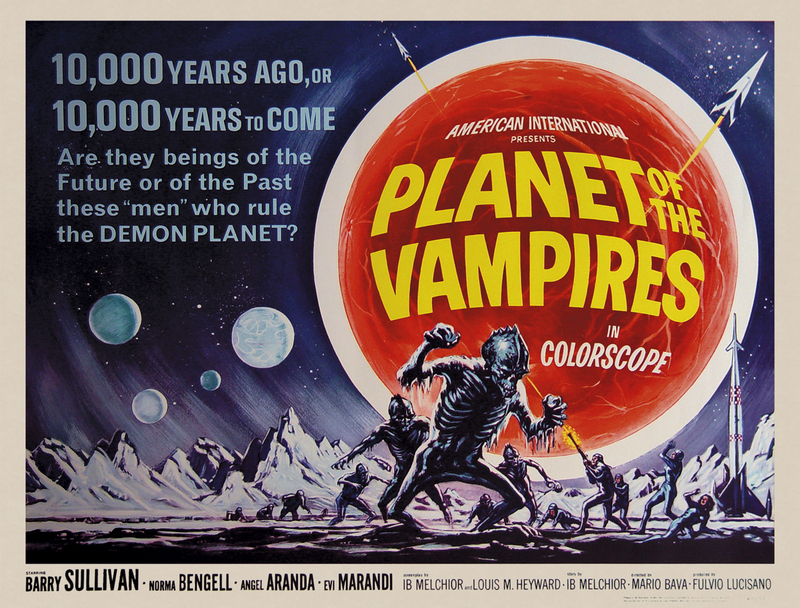 Planet of the Vampires aka Demon Planet (Terrore nello spazio) (1965) – Stigmatophilia's gore splattered corner of insanity. 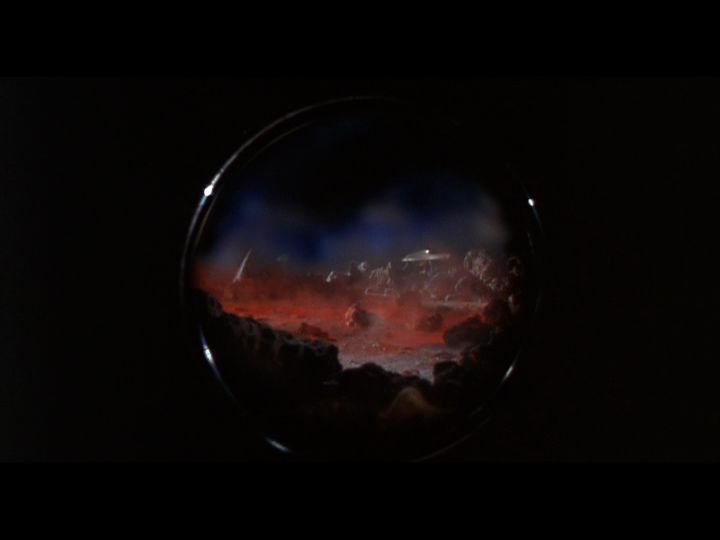 When the spacecraft Argos and Galliott recieve a distress call from the planet Aura they follow it to find a strange and unexplored planet which seems to harbour a maligant force that can turn crew members against each other and resurrect the dead. 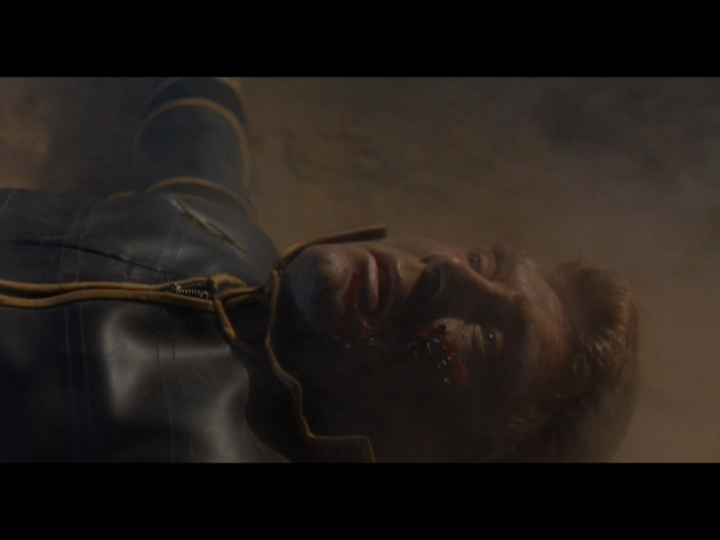 Unable to leave the planet, and running out of time, can the crew of the Argos locate any survivors and return to Earth without bringing this evil entity back with them? Possession, mind control, zombies, Spaghetti Sci Fi, gothic, aliens. The first thing I have to say about this film is despite the low-budget production values, cardboard sets, mish mash of international actors, and strange scripting in parts it provides perfect proof of just what a master of dark and macabre cinema Italian Maestro Mario Bava really was. 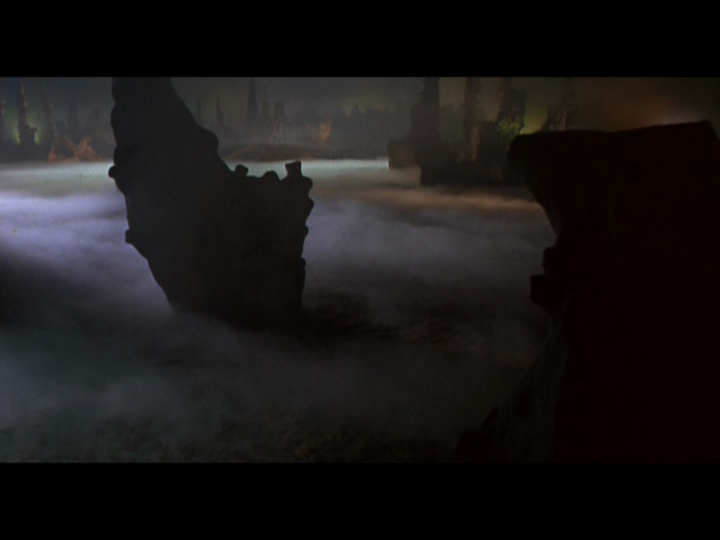 With a left over set, and some innovative lighting techniques, Bava manages to transform this flimsy cardboard world into a brooding gothic landscape as only he could. 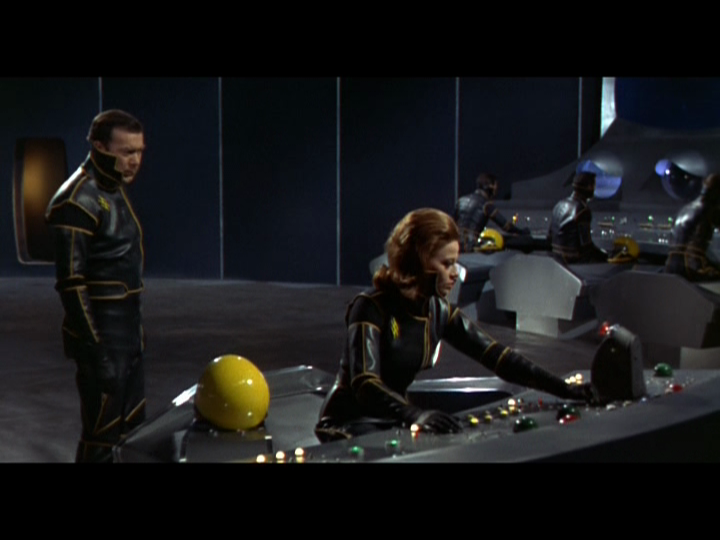 Even the black and gold trimmed stylish spacesuits worn by the crew members (incidentally which have been likened to those used later in the big budget production Alien prequel Prometheus) have a distinctly gothic aesthetic , while the striking coloured lighting and dry ice and fog effects evoke both a strong stylistic statement and fabulous atmosphere. Of course the film also represents a landmark in the Bava family timeline as it was the first time son Lamberto would join his father on set as Assistant to the Director, following on the family history in the world of cinema. 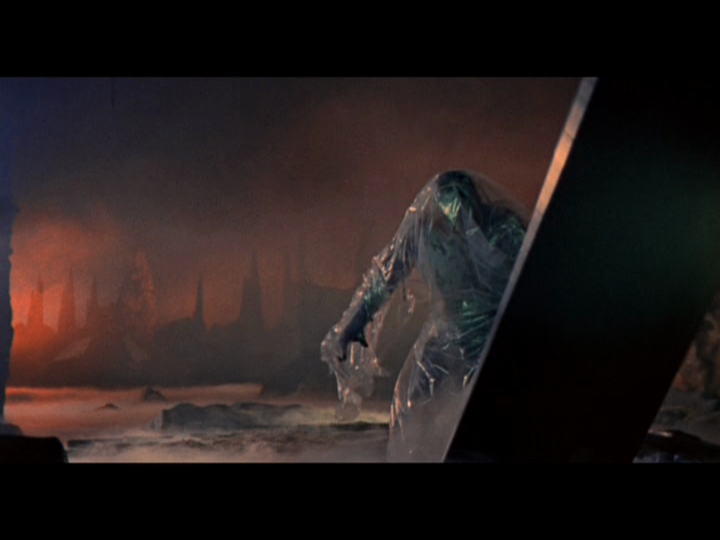 It must also be mentioned this was not Bava’s first brush with Sci-Fi notably being involved in Italy’s first attempt at the genre with Paolo Heusch’s 1958 The Day the Sky Exploded. 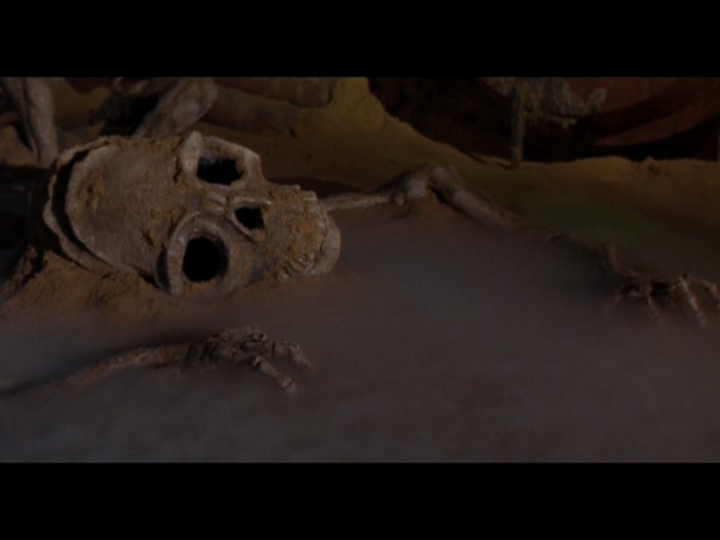 I cannot mention this movie without touching upon the obvious relation to Ridley Scott’s Alien, which is well documented, with some of the scenes, especially the discovery of the Alien carcass being very similar in content. 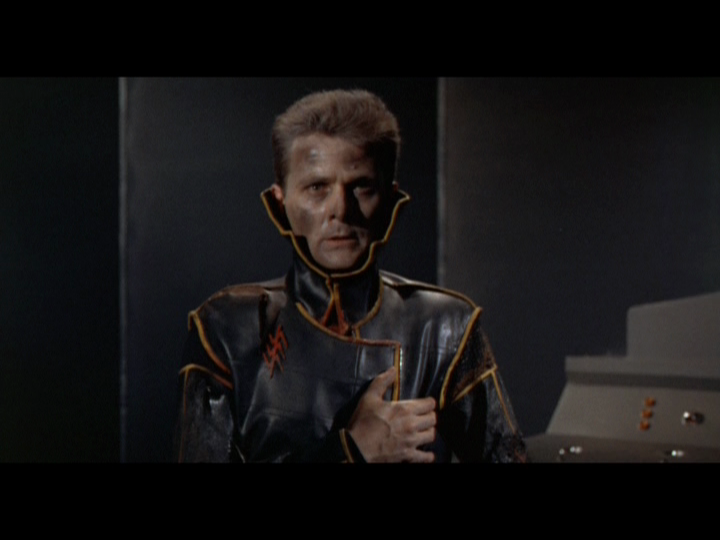 The makers of the aforementioned smash hit publically deny even having seen this movie before making their own, which is quite interesting, and even more interesting is the fact that writer Dan O’Bannon then went on to write Lifeforce which is about, well, space vampires, as is Planet of the Vampires. I am not criticising these films in any way, shape or form, but I did want to highlight that these references have been drawn time and time again. Bizarre coincidence or an obvious influence? Well that is for you the viewers to make your own personal opinions on, but it has to be agreed that the similarities in some ways are uncanny, and it makes for an interesting talking point. 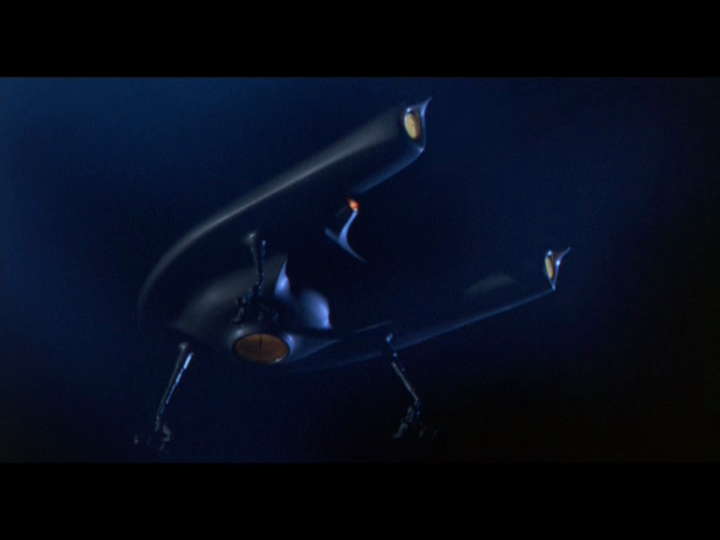 The screenplay was adapted from an Italian short story by Renato Pestriniero One Night of 21 Hours and begins with the spacecraft Argos and Galloitt being called to an unknown planet Aura by a distress call, only to find on arrival strange forces are at hand and they are now stranded on this unexplored landscape. 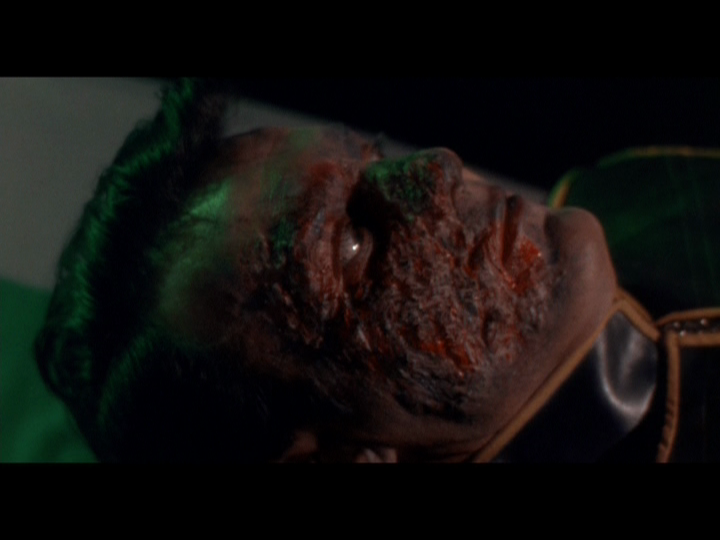 In a horrific twist of fate those involved are soon to discover that crew members can be awakened from the dead like zombies, controlled by some form of alien possession, thus ensuring a battle of wills proceeds in a cat and mouse game of who is in control of their faculties and who has been taken over by an unknown force. 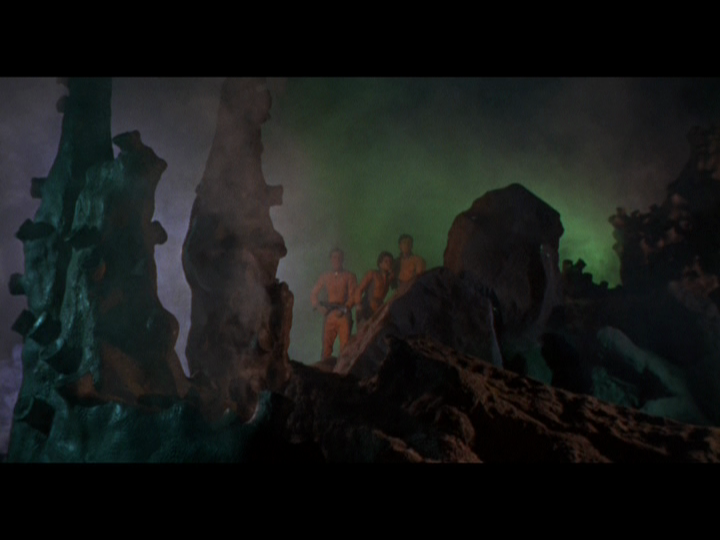 The loss of the Galliott crew meaning the survivors from Argos have to explore this decidedly foreboding looking planet. 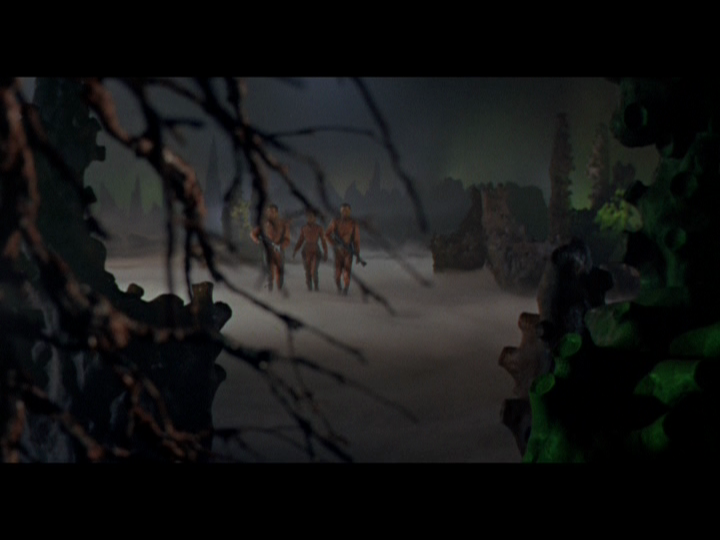 It is here that Bava’s skill both in directing cinematography and also commanding lighting techniques which comes into focus. There were also some fantastic methods employed in an attempt to hide the limited sets by using mirrors, as well as shrouding the entire scenery in a thick ghostly fog. 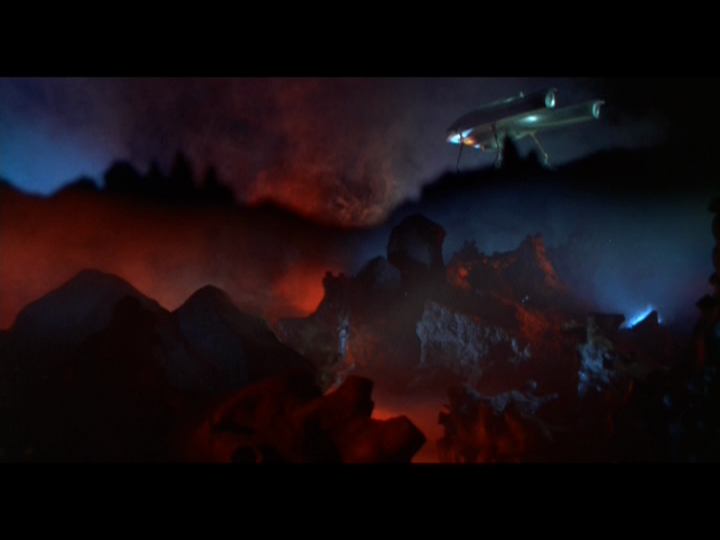 The set, while probably costing as much as something you would see on early episodes of Star Trek for example (incidentally this came out a year before the popular TV show premiered on the small screen), is nevertheless a spectacle when placed under Bava’s artistic eye, and he certainly makes the most of what he has got. Swirling mists, heavy fog which is lit with bright blues, reds and green tints make this an appealing and fantastical experience on the eye which manages to transcend the limited budget associated with this venture. Alongside the striking colour palette an ominous electronic score by Gino Marinuzzi Jr. provides a perfect complimentary backdrop. 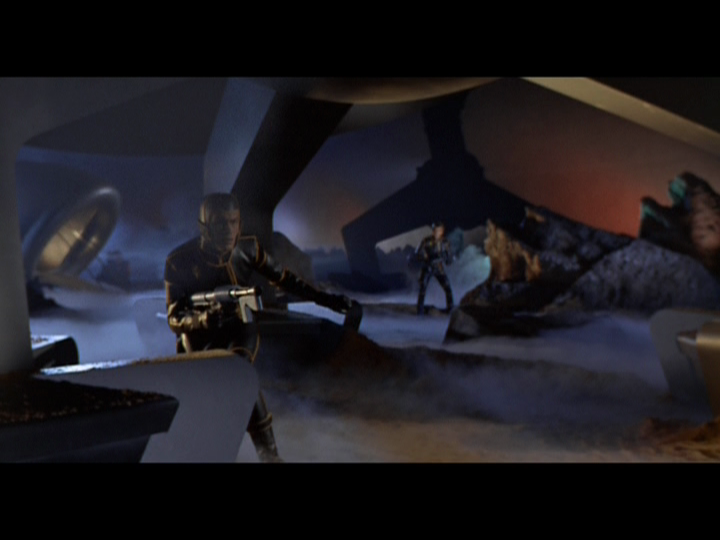 The whole film takes on a unique dark and otherworldy context which was groundbreaking for the time. 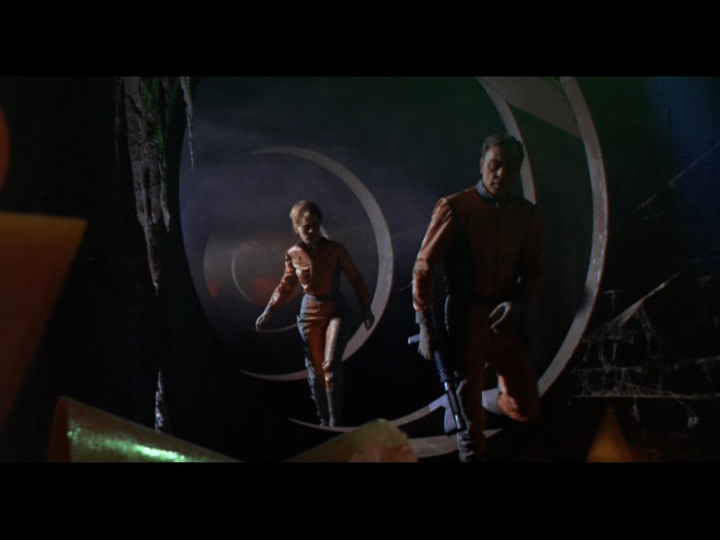 As Tim Lucas points out in his book All the Colours of the Dark*, Bava used an alien terrain as a “haunted house”, bringing a strong horror element- again this is something which is seen in Scott’s Alien, although most the action takes place on a ship a similar atmosphere is employed. 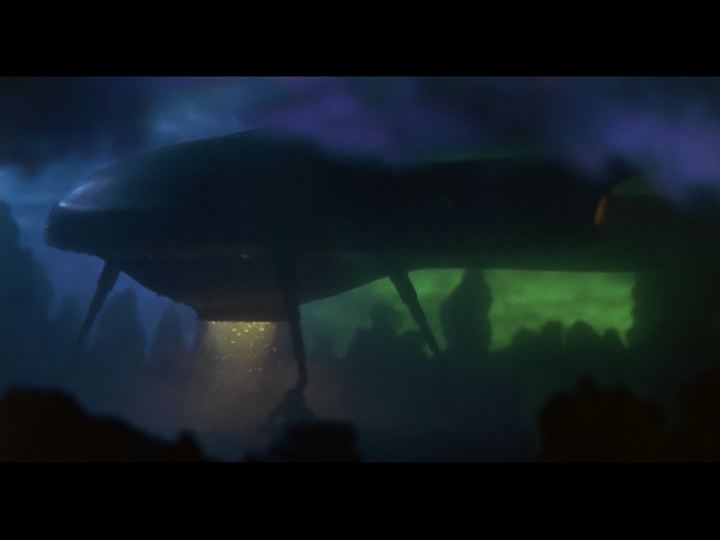 In terms of plot well it slides along nicely, dead disappearing and reappearing, and a dreadful air builds as crew members become suspicious of one another with an air of distrust mounting between them. 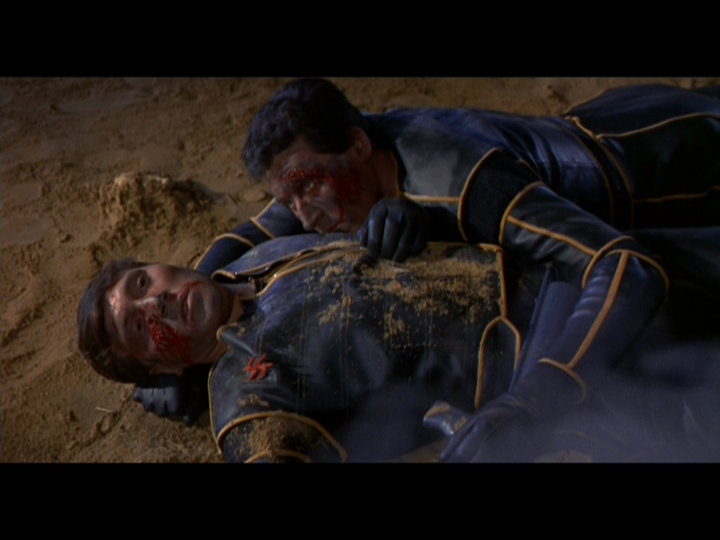 The whole enemy among friends is used to great effect right up to the twist ending. There are some brilliant little touches to behold as well, like the dead rising from their graves zombie style, giving the piece a strong horror based edge with a smidgen of gore to top things off nicely. The vampire element really cries out to my gothic tendencies, although these are not the run of the mill bloodsucking type (the way they feed from their prey is an inventive take). 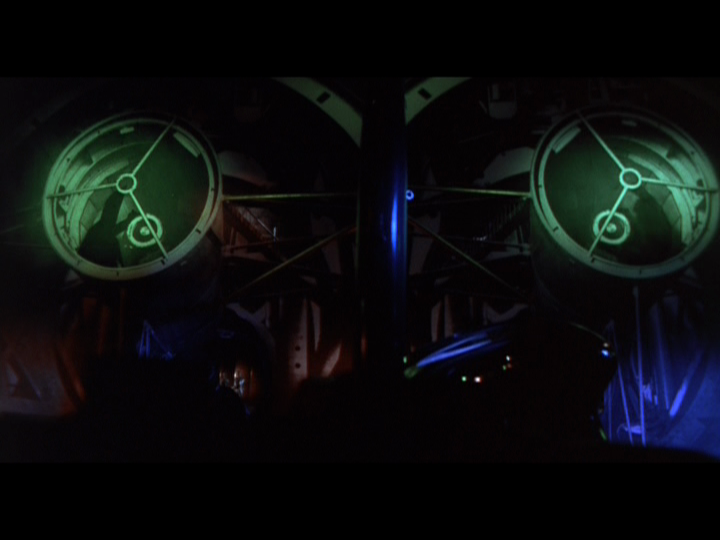 Perhaps because of the above par production quality in some of the stylistic statements Bava manages to make, this film somehow manages to transcend the campy leanings that tend to accompany other such B sci-fi offerings; all this being despite the cast being badly dubbed, and of course the one-dimensional control room of the spacecraft which looks like it is made from plywood. An interesting point is in assembling a multinational cast perhaps to save time Bava had everyone just talk in their native tongue, and had their lines dubbed, which I can imagine would have made for a chaotic shooting experience, but nevertheless it does not show on-screen, although the dubbing makes it very hard to assess the quality of the acting to some extent. 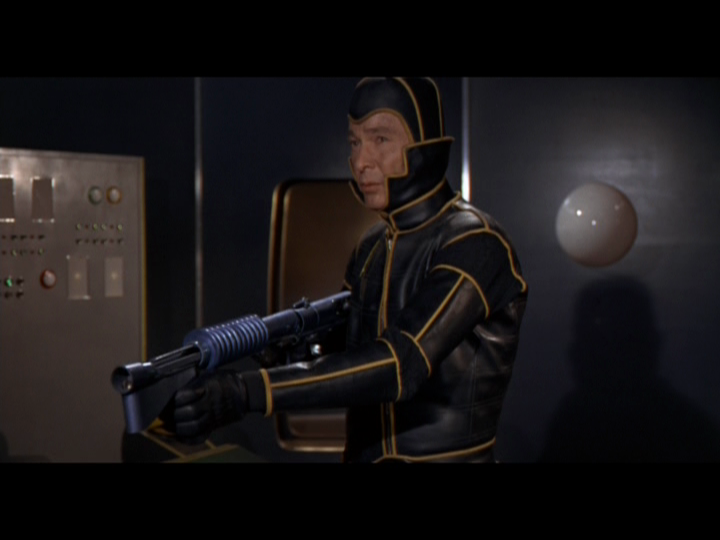 While the performances are not particularly outstanding in any way (this is partly down to the afforementioned dubbing) and some of the scripting is bizarre, as in all sci-fi pieces, the story is interesting enough to keep you nicely absorbed. 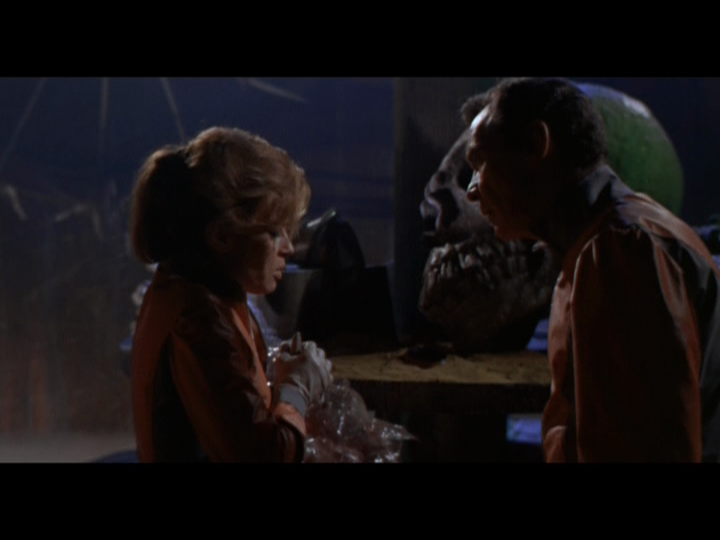 Planet of the Vampires is not however one of Bava’s greatest examples, but it is (for what it is a very low-budget sci-fi/horror), remarkable. It also became somewhat of a commercial success overseas; being partly funded by American company AIP, and having a strong promotion Stateside. While it is not flawless by any means it is an interesting effort and further proof that Bava could indeed take water and turn it into wine, employing some of the many of the inspired techniques he learned through his father Eugenio Bava, and drawing on his skill as an expert cinematographer. 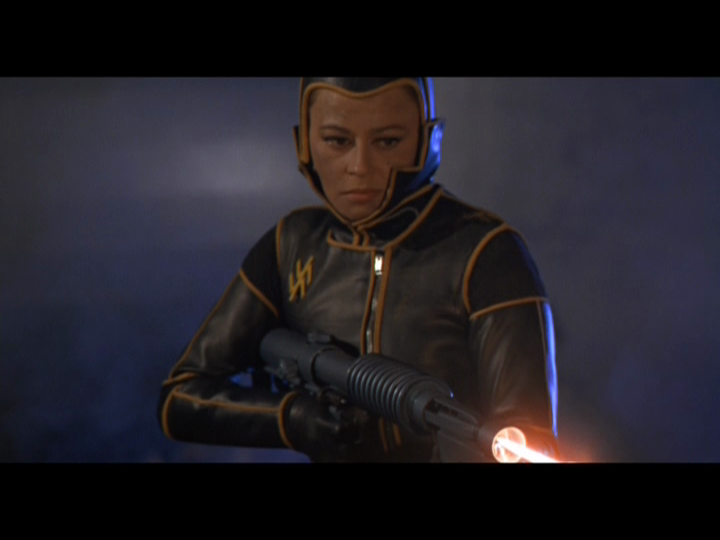 It is a trashy and cheap Spaghetti Sci Fi Euro effort, but under the command of this Italian master it becomes something more than your run of the mill 60’s Drive-in fodder, really worth checking out. ‹ Arrow Video Presents: The Texas Chainsaw Massacre 2 (1986) Limited Edition Three Disc Blu Ray.